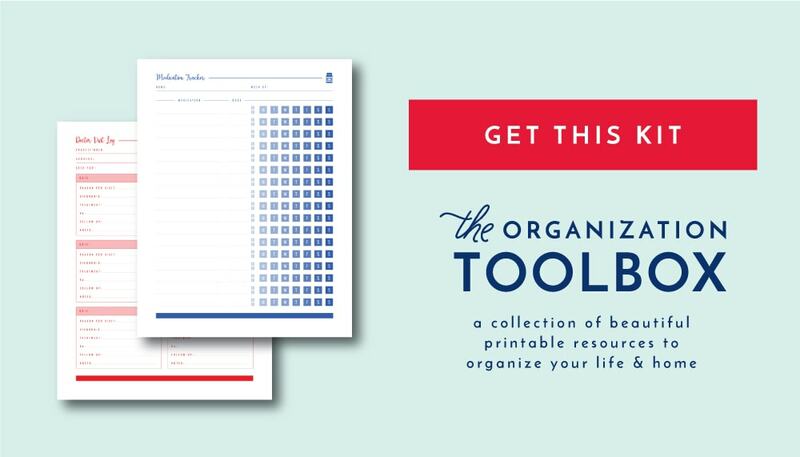 When I was first designing The Organization Toolbox, it was really important to me that members be able to request what printable kits they want to see uploaded. 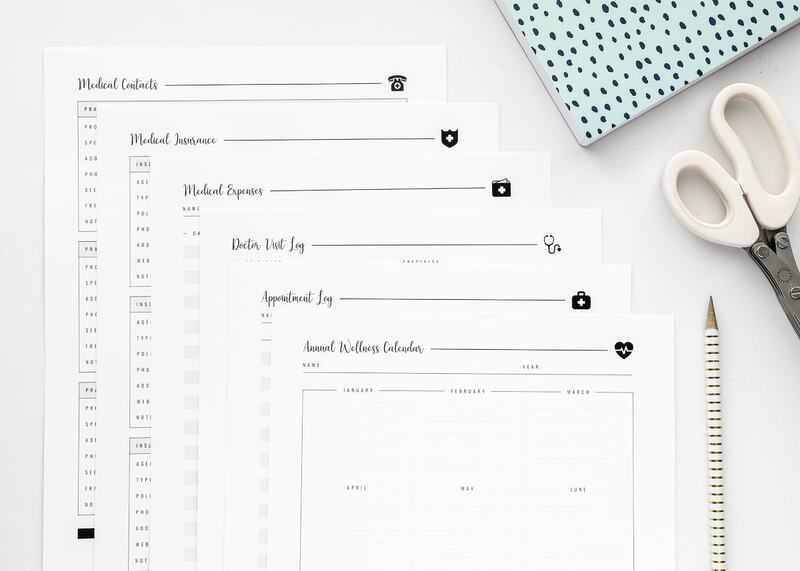 Not only have I learned over the years that you guys have really good ideas, but printables are so individual based on our own needs, families, professions, strengths, weaknesses, and more, that what I need and use might not be what you need and use, and vice versa! 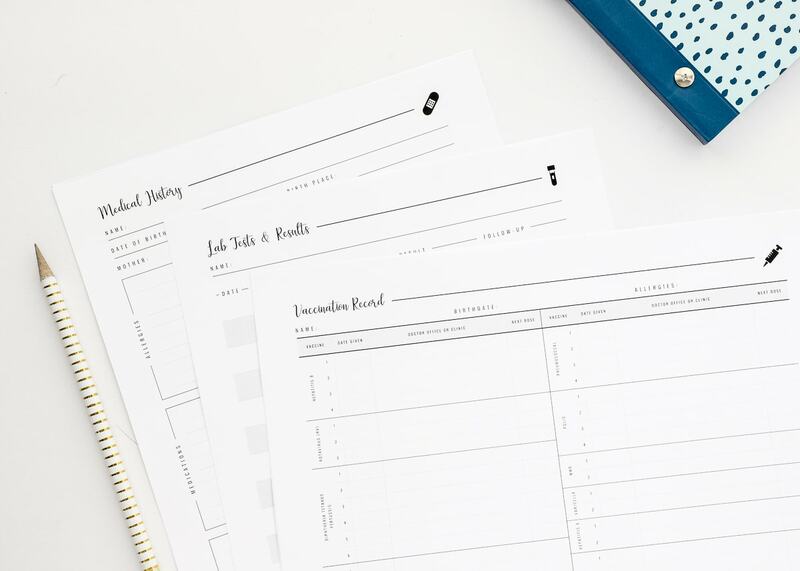 Today’s printable kit includes a bunch of trackers and worksheets that have been requested by many Toolbox members since it first launched last Spring, and I am so thrilled to finally have them ready. 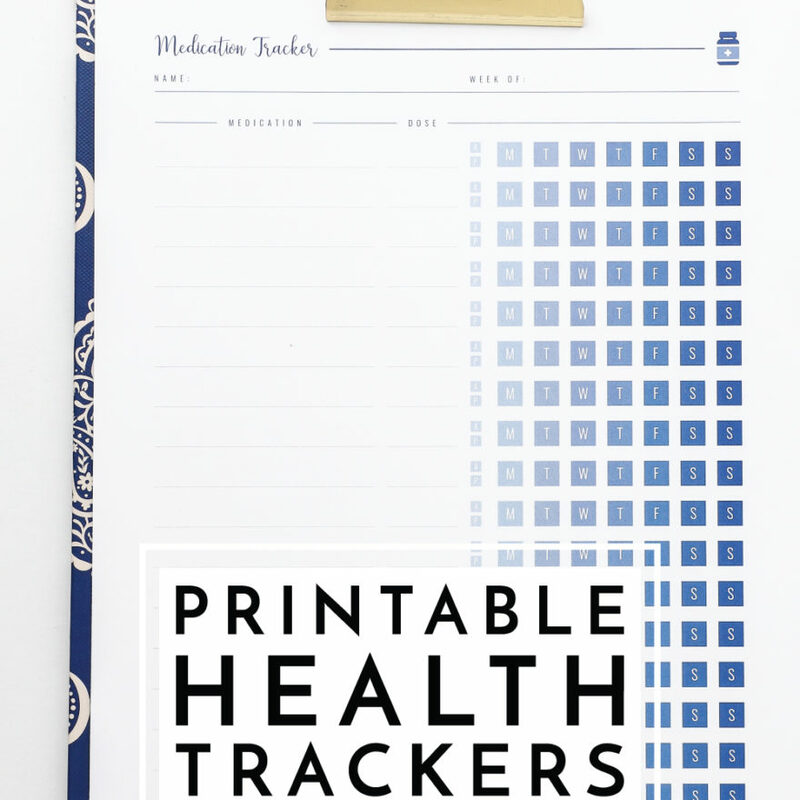 The 33 pages included in this Printable Health Trackers kit can help you monitor everything from medications to blood pressure, healthy habits to sleep and so much more, ensuring you stay on top of all your health and medical details! I have heard from so many readers needing help keeping track of various aspects of their (or a family member’s) health. From appointment details, contact information, lab results, medication lists and so much more, I can certainly understand why! There is so much to remember, track, and follow-up on! 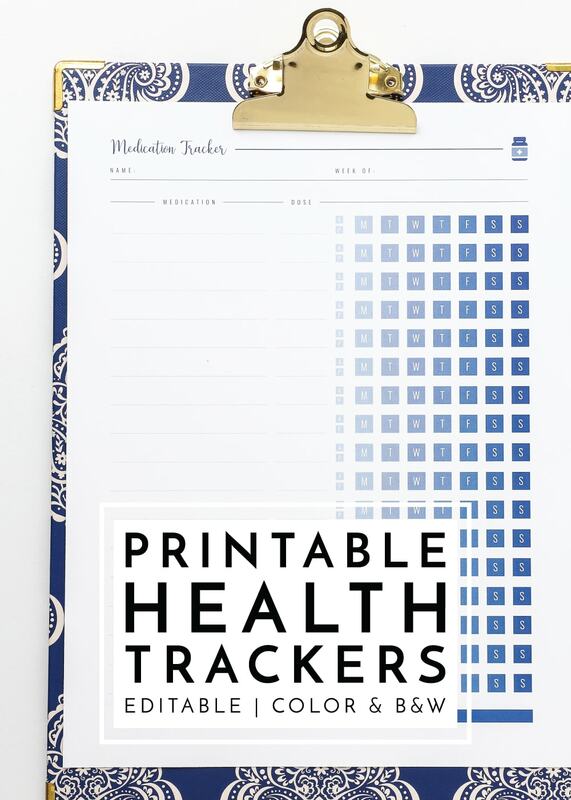 My goal with these Printable Health Trackers was to provide a collection of coordinated worksheets that could either be used individually (to track something very specific, such as blood pressure) or as a set to provide a comprehensive picture of your health and healthcare. 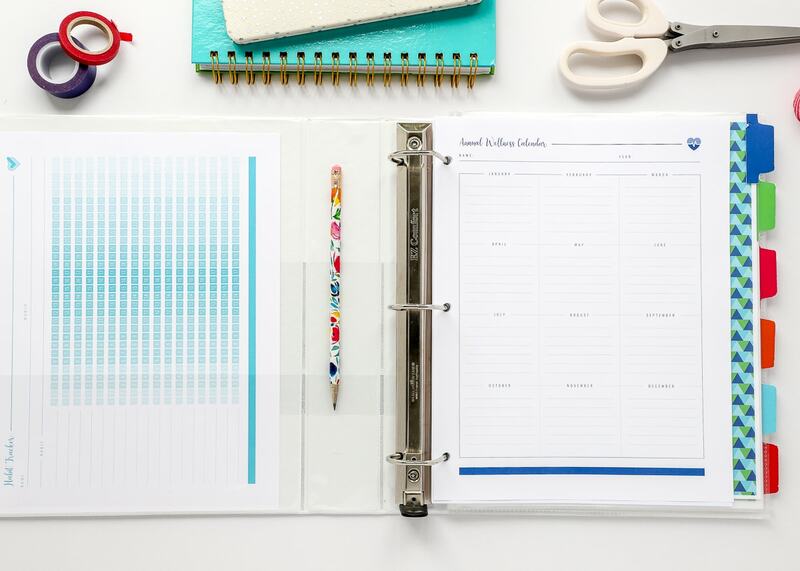 Pin a single tracker up on the refrigerator or print off multiples of each page to assemble a health binder for the entire family (color-coded of course!) to keep track of visits, labs, contacts and more. 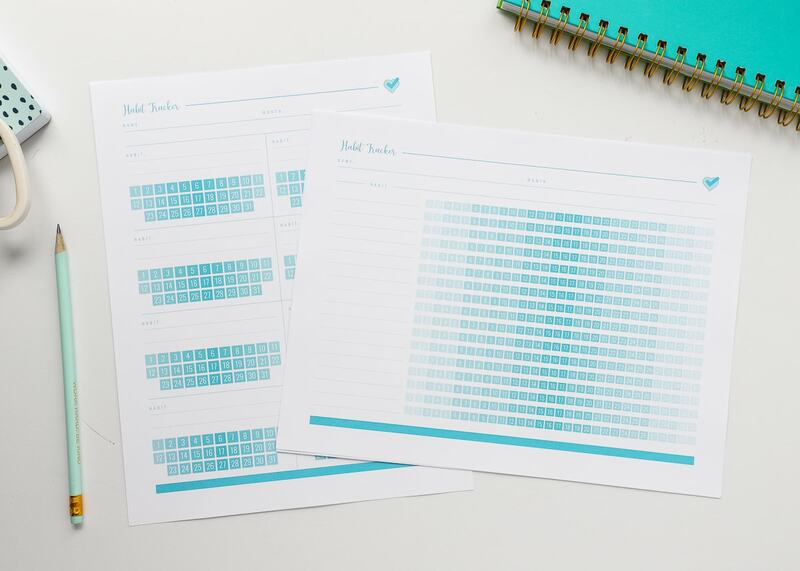 The first set of worksheets was designed to help you keep track of the logistics of your medical care. These include the following: Annual Wellness Calendar | Appointment Log | Doctor Visit Log | Dental Check Up Log | Medical Contacts | Medical Insurance | Medical Expenses. 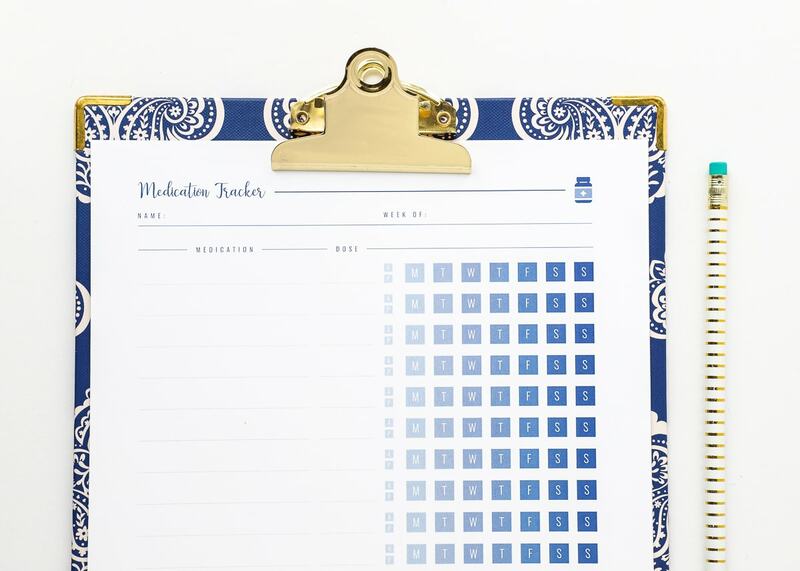 The Annual Wellness Calendar is ideal for keeping track of which doctors you typically see when; while the Appointment Log provides a place to notate when you saw each provider last. 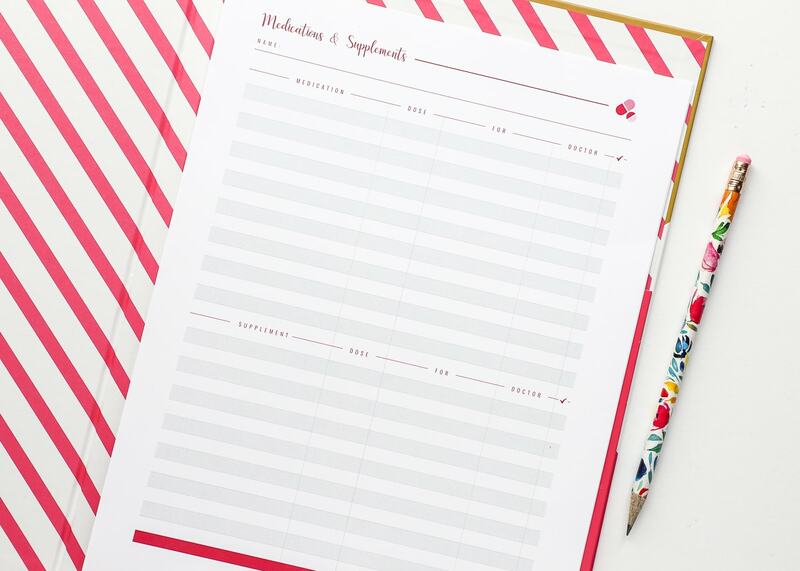 The 2-page Doctor Visit Log is perfect for keeping track of appointment specifics. Consider printing out a copy for each doctor your family sees so you can quickly and easily update these over time. Medical Contacts help keep track of various providers. 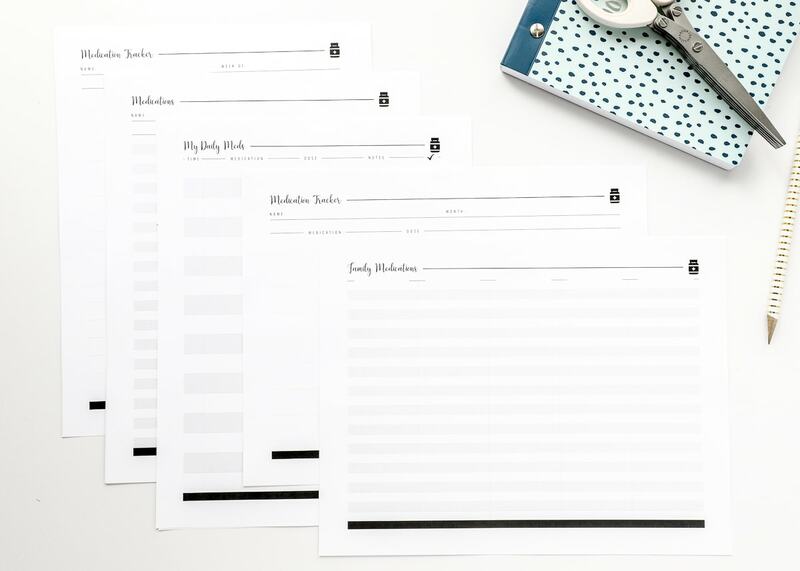 Although I have the color version shown here, each form could be printed black-and-white onto different colored paper to help classify providers, appointments, etc by family member! 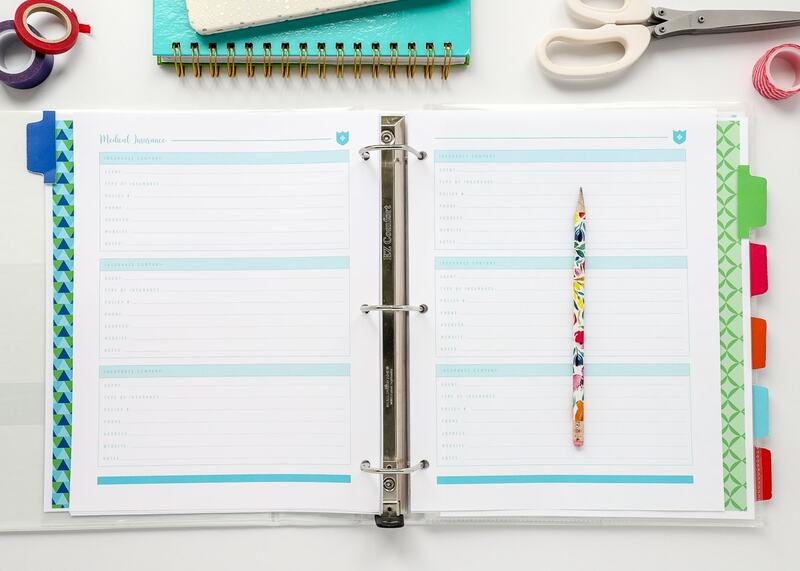 Every form comes in a 2-page spread. 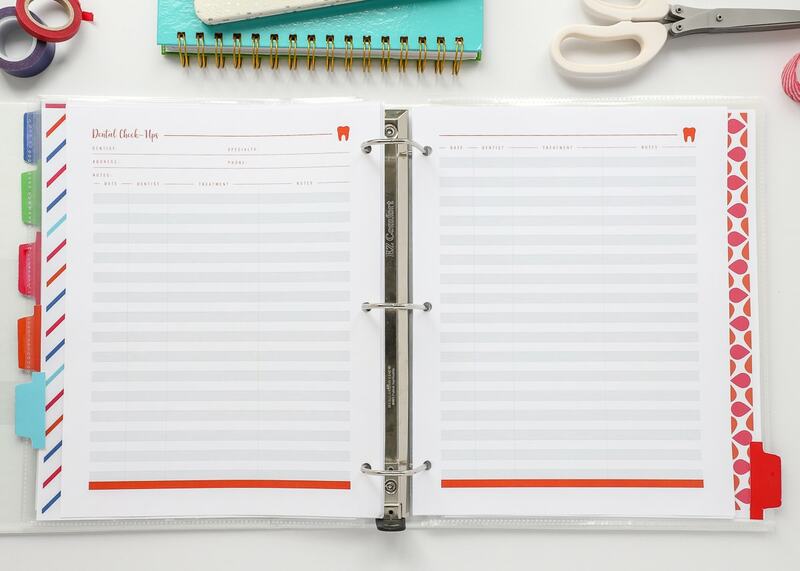 So while you may just need the left-hand page, don’t hesitate to print as many copies of the right-hand page as necessary to extend the section in order to keep all your contacts/information in one spot! The next set of pages feature simple forms to track personal medical details, including a Medical History | Lab Test & Results | Vaccination Record. The 2-page Medical History is a perfect set of forms if you want to start collecting information on family members and/or compiling a history of yourself that can be passed on/shared with family members as needed. 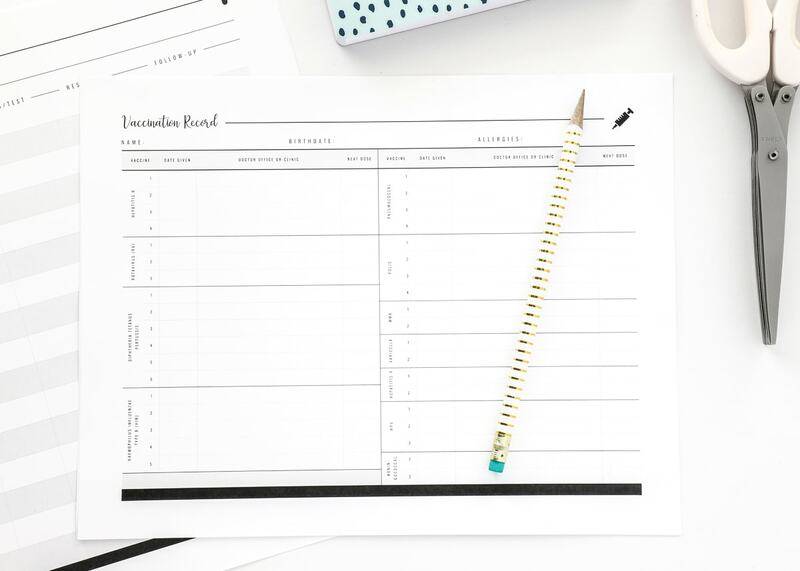 The Lab Tests & Results tracker will certainly come in handy if you have a series of tests done or if you want to track specific test results over time. While vaccinations are typically recorded in State-run databases, having your own record is always a good idea. This pretty one-page version is consistent with all the current vaccinations listed on most publicly available cards/records. By far, the biggest component of this kit are the health trackers: Medication Trackers (6 versions) | Supplement Trackers (3 versions) | Healthy Habit Trackers (2 versions) | Sleep Trackers (2 versions) | Blood Sugar Trackers (2 versions) | Blood Pressure Trackers (2 versions) | Symptom Tracker. And again…each and every one is editable and available in both color or black-and-white! You guys know I like to provide options, and boy did I! 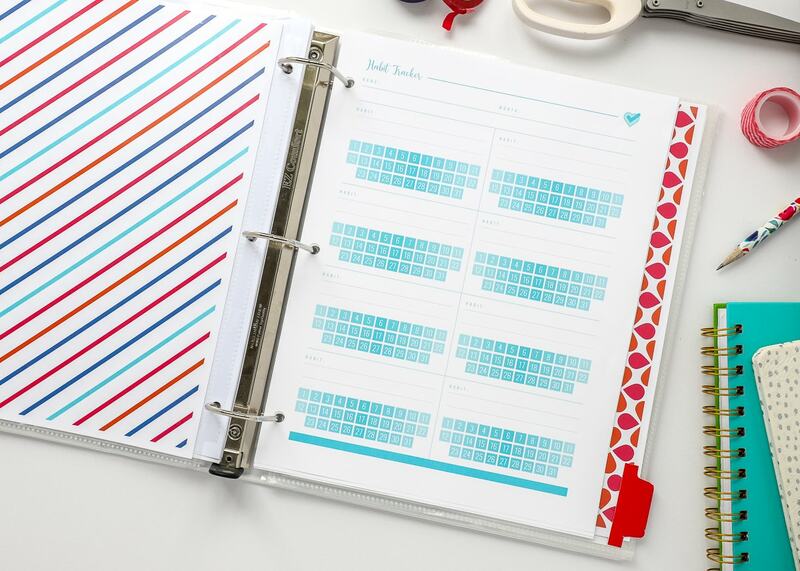 Each tracker has multiple layout options so you can find just the right one for your needs. 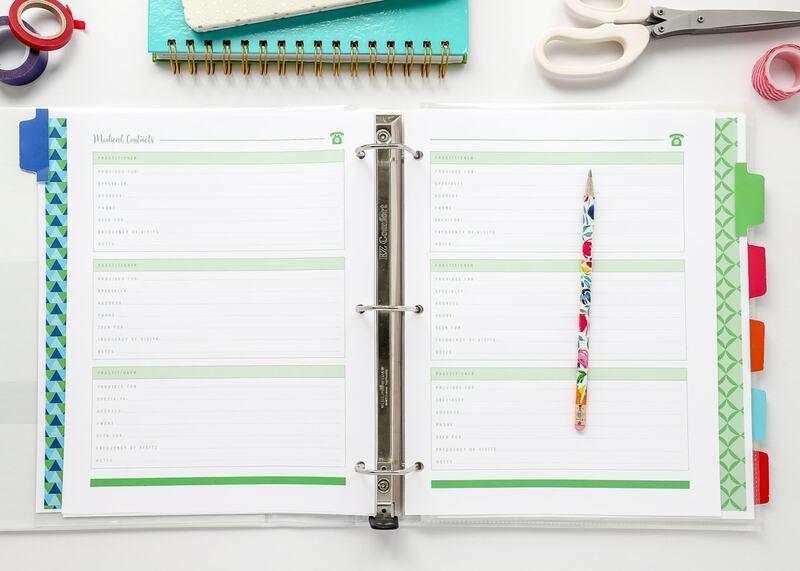 For example, there are 6 different medication trackers to choose from, ranging from simple lists to a family worksheet! Several of the trackers are broken down into weekly or monthly layouts, as shown below. If you or a loved one relies on lots of different medications, these are a great at-at-glance way to keep track of them all! 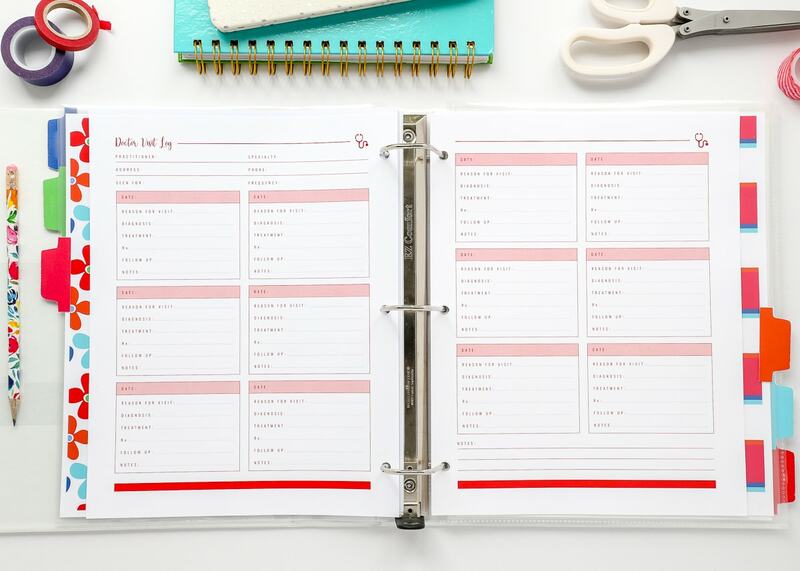 The Supplement Trackers feature an identical layout in a pink color scheme. 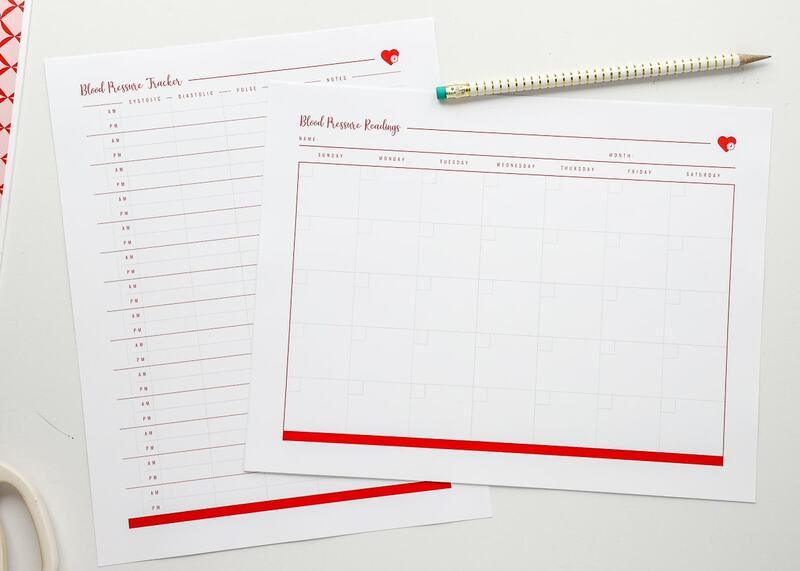 And if you want a single sheet to track both Medications and Supplements, I’ve got you covered! 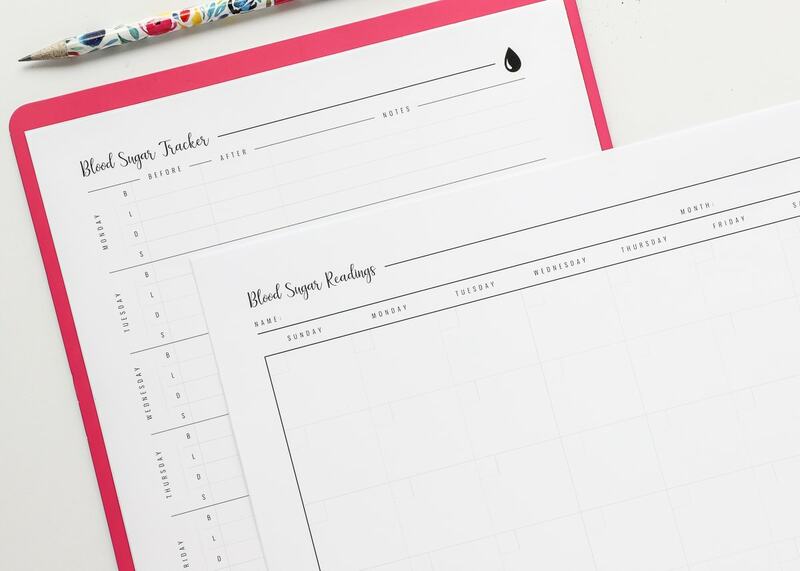 This kit also features pretty worksheets for tracking both blood pressure and blood sugar. 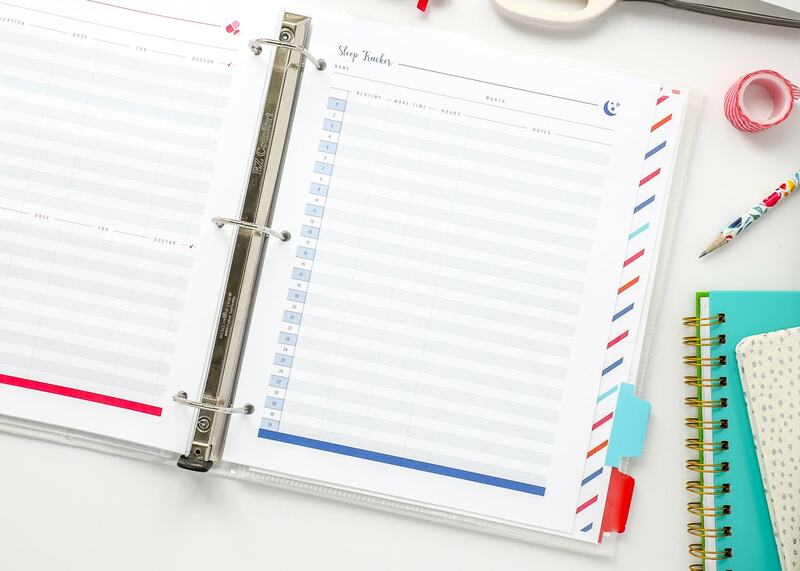 The portrait layout of both of these trackers provides ample space for lots of details, while the monthly layout gives an at-a-glance view of your trends over time. 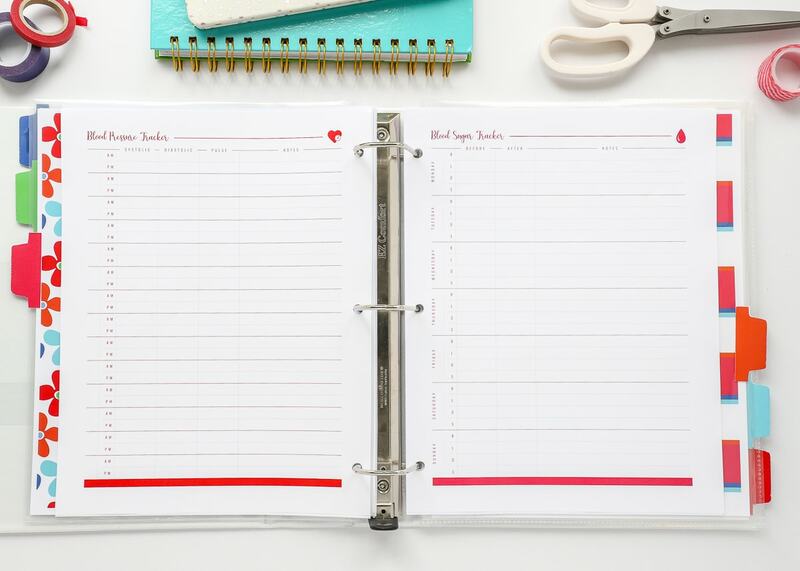 Two versions of a Healthy Habit Tracker are sure to keep you on track, or get you back on track, this New Year! 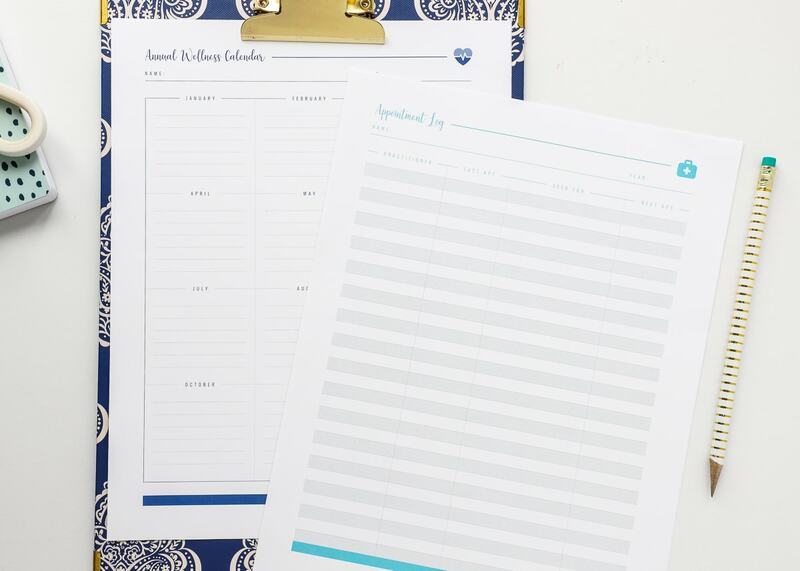 Simply populate the habits you’re trying to cultivate and check off the box for each date you do it! 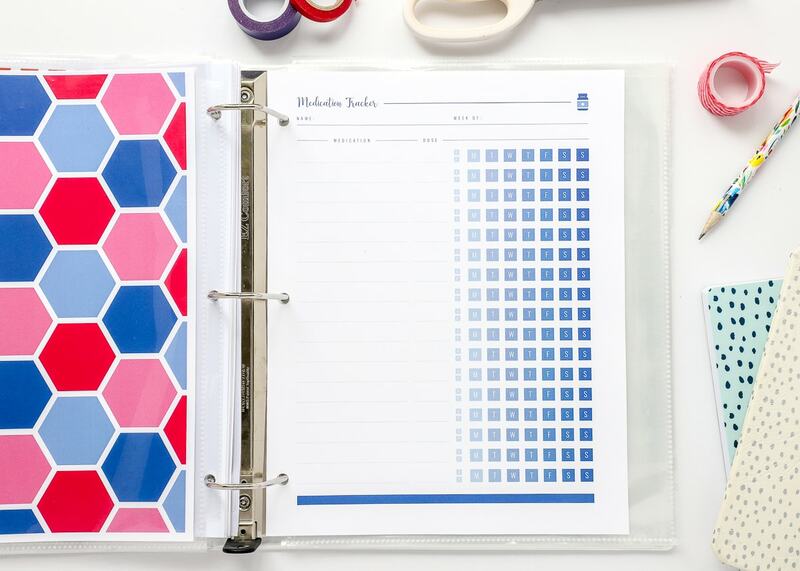 To customize it to your color preferences, print out the black-and-white versions and color in with your favorite gel pens! Two different Sleep Trackers can help you visualize the amount of sleep you’re getting each night (not shown) or keep track of your sleep-time habits. This log (shown) can be especially helpful in sorting out sleep issues! 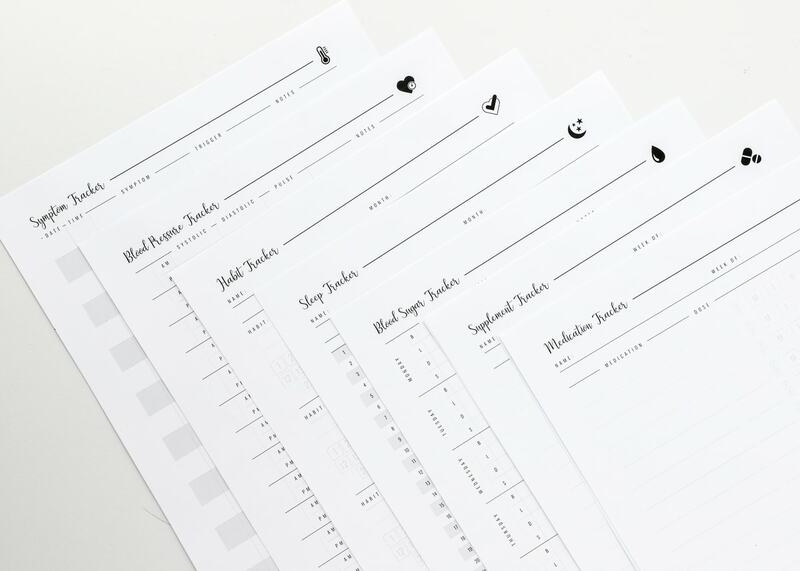 Both the color and black-and-white versions of the Printable Health Trackers have been uploaded to The Organization Toolbox and are available for download right now! 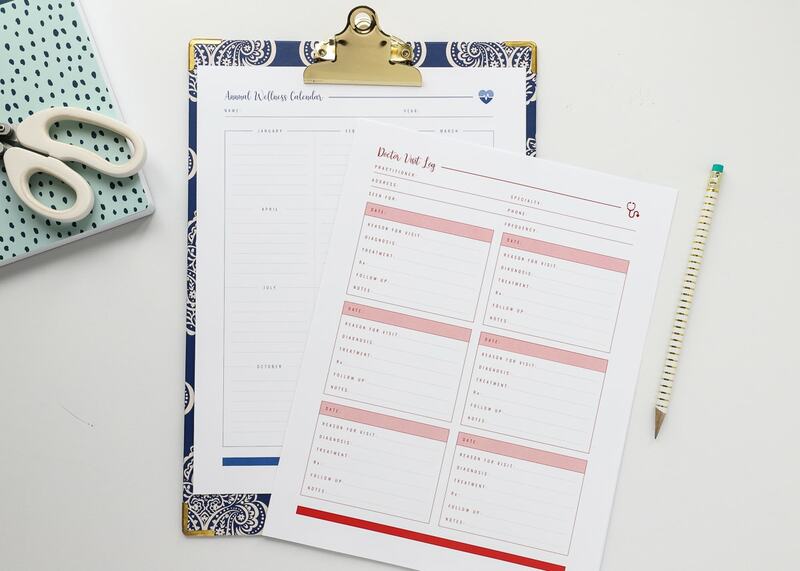 You’ll likely notice that this printable kit exclusively features “health” forms and trackers rather than “wellness” or “fitness” forms. This was an intentional choice in order to keep the focus and scope of these pages from drifting to far and wide. 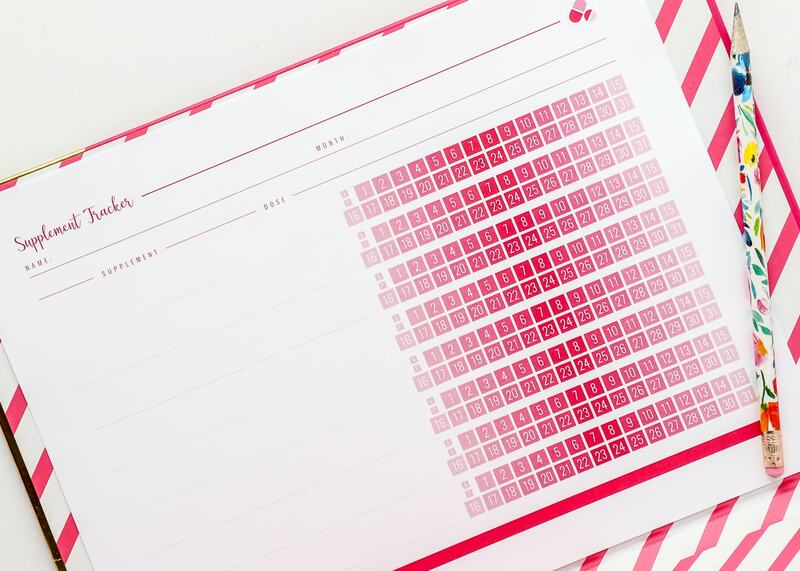 That said, you better bet there will be a companion pack to these pages (later this year) that will feature weight, water, fitness, and food trackers…so when used together, you will really be able to get a complete and total picture of your health and fitness! 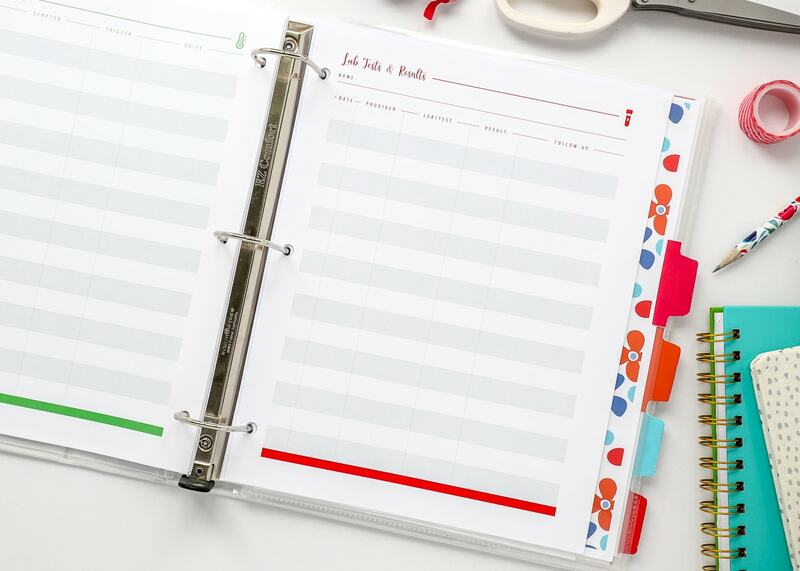 These pages were really a lot of fun to design, and I can’t wait to see how you all start to use them in your own lives! I must admit, I’m pretty excited to put the Habit Tracker to the test because I have a few habits I’m really trying to make stick. 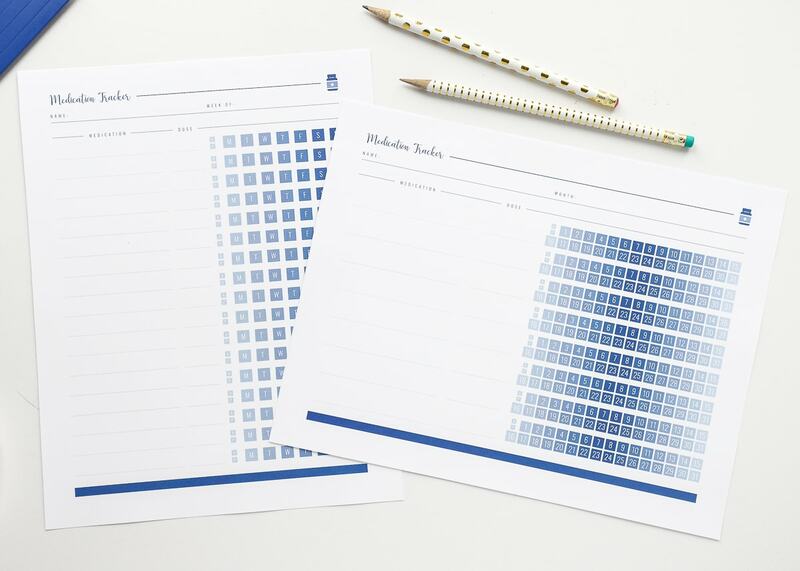 Which printable are you ready to use right away?!? Hope your February is off to a wonderful start! See you back here on Friday!